Description: The Barley Wine is made from barley, which originates from Dutch malt houses. The main component is pilsner malt, supplemented with a smaller amount of crystal malt. We only use malted barley to make this wine, which results in a very rich and malty flavour. Barley Wine is unfiltered and has a very pure taste. 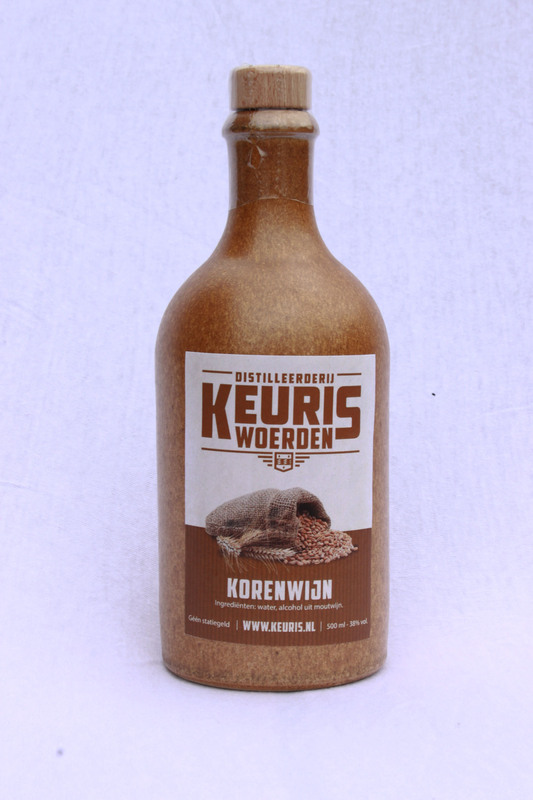 In Holland there are only very few Barley Wines available made from 100% malted barley, which makes this product all the more unique. Colour: The Barley Wine is bright, clear and colourless. Smell: This wine owes its smell to a well-balanced selection of Dutch malted barley. The main smell of barley can be easily recognized, but more subtle hints of caramel and vanilla are also present. Taste: Because we exclusively use malted barley, this wine has a particularly rich and malty flavour, which may not suit everyone’s palette. Aftertaste: Compared to when tasting this Barley Wine, the aftertaste is relatively smooth and subtle.